The good people at Everytown for Gun Safety have launched a powerful new campaign to convince the giant Kroger grocery chain to prohibit customers from openly carrying weapons in its stores. 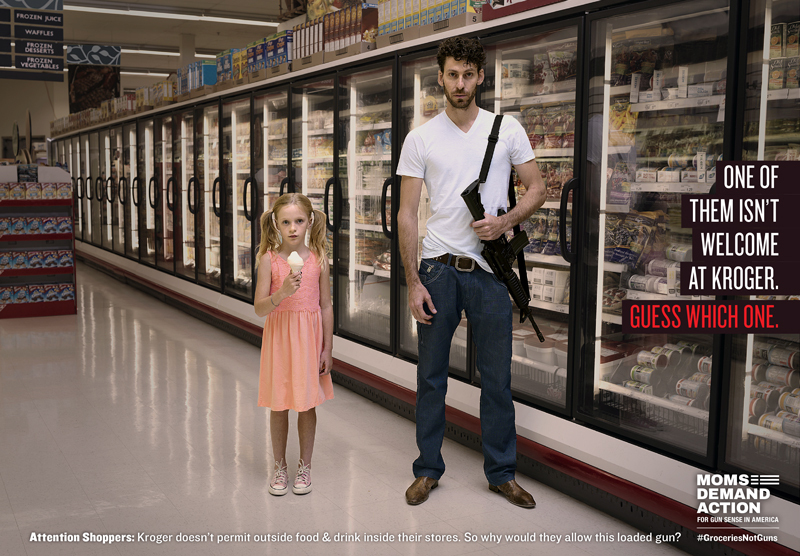 The campaign features three powerful photographs that highlight the absurdity of Kroger’s current policies — which prohibit customers from bringing in outside food, skateboards or shopping shirtless, but that do not prohibit openly carrying, for instance, assault rifles. Those who choose to walk around defenseless may do so; however, they don’t get to deny others the right to protect themselves.